Easter is around the corner and so the hunt begins! 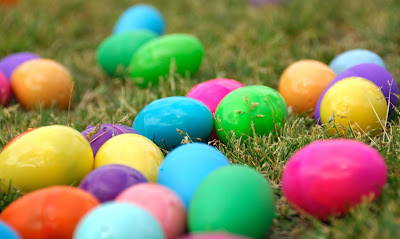 The Easter Egg Hunt, of course! In conjunction with the Canadian Embassy, CCR will provide kids with a large, secure garden area to have fun on a traditional egg hunt. There's also a lovely indoor option in case of rain. Keep an eye out for the Easter Bunny! Cost: €5 per child, only CCR member children and Canadian Embassy children admitted. Note: This event is being organized mainly for kids under 10 and is a collaboration with the Canadian Embassy. Advanced confirmation is mandatory for security reasons. You are financially responsible for your reservation. RSVP: to canadarome@gmail.com by March 16th ATTN Neeya, providing the full names of children and accompanying adults as per ID.